Calling horror writers or any writer wanting to have a stab (sorry) at something different. 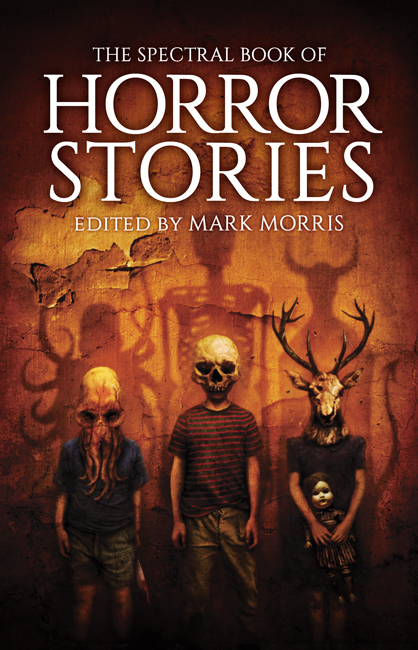 Submissions now open for this upcoming horror anthology – deadline June 30th! This looks great. I might have to see what I can pull together! Question — is it The 2nd Spectral Book of Horror Stories, or The Spectral Book of Horror Stories, vol. 2, or The Spectral Book of Horror Stories 2? All three are used (or implied — the title of this post implies the third one) here on the page. I’m collecting info for a future post about open anthologies and I’m not sure exactly what your title is going to be. Thanks! I’m feeling the cover. Will be submitting. This was last year’s cover Michael – this year’s is going to be even better! Will you accept sim subs? As to your question, they should be original, not submitted or published anywhere else, and only story to be submitted. Just a quick clarification query. If a prospective contributor has already had a story rejected, can they send another before the sub window closes? I think your best bet would be to submit again next year – last I heard from Mark he has received hundreds of submissions so I would save it for 2016’s edition.. Thank you kindly for the reply, Simon.. Many thanks for the stunningly fast reply.